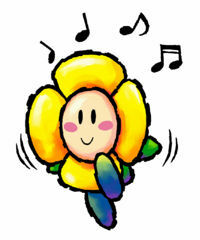 Crazee Dayzees are flower-like enemies that made their debut in Super Mario World 2: Yoshi's Island. They later appeared in the Paper Mario series and Yoshi's Island DS. Crazee Dayzees' first appearance is in Super Mario World 2: Yoshi's Island, where they act as minor recurring enemies throughout the game and can have either white, or yellow petals. Crazee Dayzees behave identically to Shy-Guys in terms of behavior—however, they can survive being swallowed and spat out, unless they collide with another enemy. An uncommon variation with purple petals that spits out bubbles known as Bubble Dayzee can also be found in some levels. Crazee Dayzees reappear in Yoshi's Island DS, where they act as they did in Super Mario World 2: Yoshi's Island. 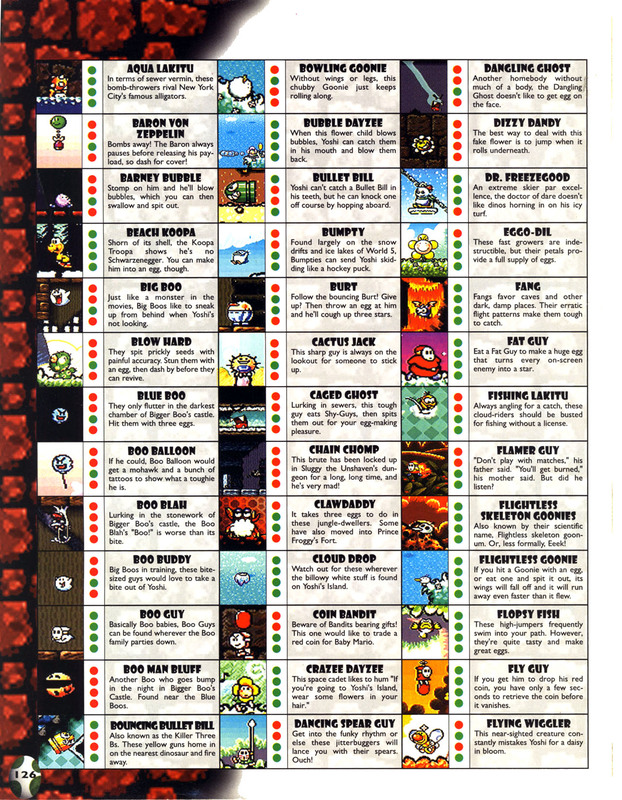 They are found in many levels throughout the game, including Ba-dum BUM!, Hit the M Blocks!, Mario's Fleet Feet, Baby Mario and Baby Peach: Dynamic Duo and Donuts and Eggs. Notably, the Bubble Dayzees do not appear in this game. Crazee Dayzees reappear in Yoshi's New Island and act as the same as they did in the previous installments of the Yoshi franchise. Crazee Dayzees in the Paper Mario series all have lavander petals and purple feet. 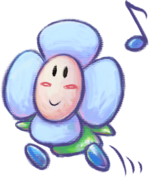 Crazee Dayzees make their first appearance outside of the Yoshi series in Paper Mario, where they first appear as enemies in Flower Fields. They attack Mario on sight and often fight alongside Bzzaps! and Ruff Puffs. They typically attack by singing, putting Mario to sleep. A rare variant known as the Amazy Dayzee first appears in this game, which has higher HP, and much higher attack in comparison. Crazee Dayzee fleeing in Paper Mario: The Thousand-Year Door. Crazee Dayzees, along with Amazy Dayzees, make a return appearance in Paper Mario: The Thousand-Year Door. In this game, they can be found along the Twilight Trail near Twilight Town. Amazy Dayzees also appear in the lower levels of the Pit of 100 Trials and alongside other enemies in Twilight Trail. A Crazee Dayzee with green petals, known as Hayzee appears as Luigi's ally. He joined Luigi on his adventure to assemble the Marvelous Compass after being impressed by Luigi performance in the role of "grass" in a play. Hayzee is from a town of Crazee Dayzees known as Jazzafrazz Town, which the the first time that a Crazee Dayzee is shown to be an ally, rather than just a simple enemy. Crazee Dayzees return in the third installment of the Paper Mario series Super Paper Mario. This time, they can be found in some of the many dimensions that the Heroes of Light visit throughout their journey, such as The Dotwood Tree in the Bitlands and the Land of the Cragnons. They cannot flee from the Heroes of Light, but they can still put their enemies to sleep. Its stronger variety, the Amazy Dayzee, also returns. In the Flipside Pit of 100 Trials of room 58, Crazee Dayzees try to ambush the player, making this almost impossible to dodge their attacks unless Dottie is used. A Crazee Dayzee appears as a spirit in Super Smash Bros. Ultimate. Tattle This is a Crazee Dayzee. Crazee Dayzees look cute, but you won't think they're so cute after they attack you! Max HP: 8, Attack Power: 4, Defense Power: 0 They attack by singing a song. If you fall under the song's spell, you'll fall asleep. If you get their HP low enough, they'll try to run away. Beat 'em quickly so they can't flee. Spanish Margaloca From margarita (daisy) and loca (crazy). German Susel Dusel "Susel" could refer to the word "säuseln" (whisper softly), but also to the name "Suse", a short form of the given Name "Susanne". "Dusel" is a colloquial term meaning drowsiness or lightheadedness. Pesnetsvet From песня (pesnya), meaning "song", and цветок (tsvetok), meaning "flower".